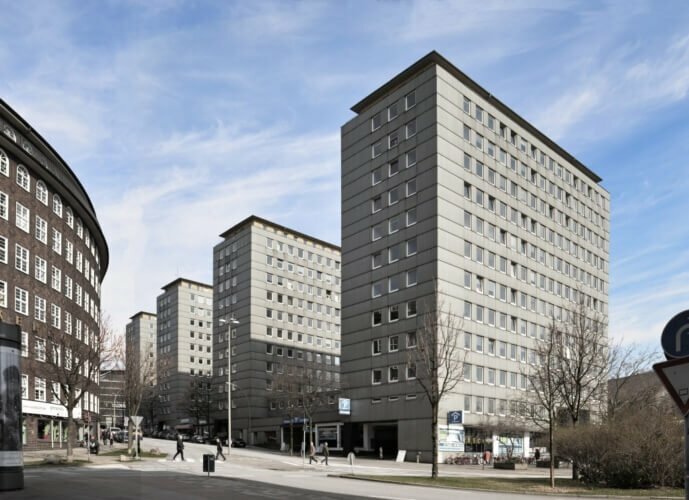 Designed by the architect Rudolph Klophaus, the modernist building complex City-Hof in Hamburg is in danger of demolition. The Initiative City-Hof is joining forces to publicly advocate the urgent need to preserve the buildings for future generations. 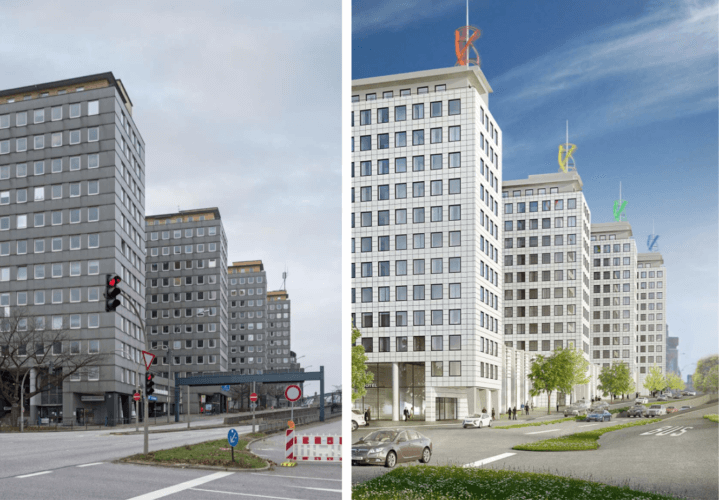 “In the 1950s, the four high-rise buildings, along with intermediate buildings and a shopping arcade, were built only a stone’s throw away from the central station of Hamburg. Originally, the façades of the buildings were structured with bright square LECA-panels, which also served as permanent forms for the concrete work. 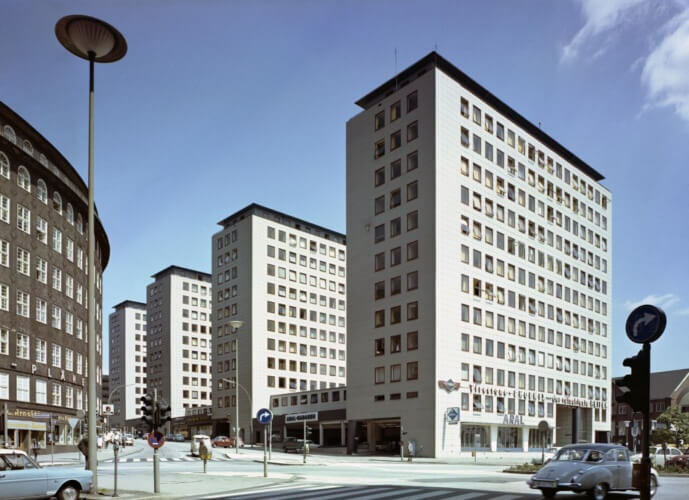 In the 1970s, the windows were replaced, and the façade of the City-Hof was covered with grey fiber cement boards.